Quote Texas Insurance, established in 2001, has successfully served the greater Texas area using a custom 8-step process to serve the needs of our customers, not insurance companies. With a fully licensed and educated staff, we focus on offering quality insurance policies at quality prices to the commercial market. Our 8 Step Custom Process to insurance savings and protection! We quote exclusively through over 65 A+ rated insurance carriers. 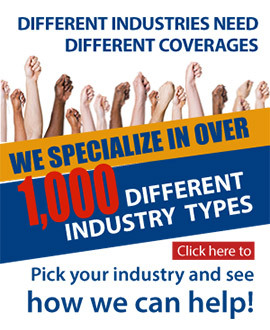 We speak directly with underwriters to ensure only the most appropriate coverage’s are selected. Our primary focus on the needs of businesses gives us the unique advantage of an intimate understanding of many different industries, allowing us to serve your business better. We use the latest technology, combined with exceptional customer service, to assist customers in securing policies that support and enhance their business endeavors. With a vast network of over 65 different insurance providers, we shop for policies that are customized to meet your specific needs and your budget. No other agency will work as hard for you. The Quote Texas Insurance custom process has already served over 10,000 businesses. As we expand across Texas, our focus remains on one goal: Insurance made simple. If you have any questions at all, or you know exactly how we may help you, contact us today!